I hope everyone is having a great week! We’re right around the corner from tax season. For most people this is a very dreaded time of the year. So much information and knowledge goes into taxes and for some people it can be a little overwhelming. Have you given any consideration as to what you’re going to do with your tax return? 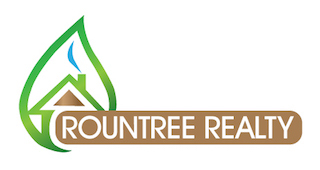 Maybe you could use your tax return to purchase a home or use it to improve your current home! Today, we’re going talk about Tax Deductions for homeowners and some benefits you may not know of. What are some homeowner tax deductions? There are several different tax related expenses and deductions for homeowners. Home Office Expenses, Energy Efficient Appliances and Windows, etc. What are some tax deductions when purchasing a home? When you’re purchasing a home there are many different expenses that you can claim as a deduction. For an example, mortgage interest, mortgage points, real estate taxes, moving expenses, etc. What are some home owner related expenses that CANNOT be claimed as a deduction? 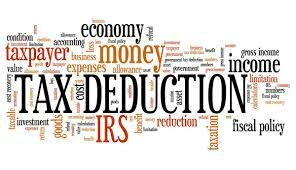 Unfortunately here is a list of expenses that cannot be claimed as a tax deduction. Mortgage insurance, homeowners insurance including flood or fire), direct principal payments, remodeling, etc. As always I encourage you to consult with a local tax expert or accountant for all tax related questions. I hope everyone has a great rest of your day and weekend! Experian recently conducted an analysis to determine how the new rental information has aided consumers’ credit files. The study shows that the addition of rental history on a subprime mortgage moved the participant up at least one higher(or less risk) by the addition of the newly added field. What does this mean for potential buyer? It means more affordable credit and additional credit opportunities. Are You Thinking About Trying to Sell Your Home via Short Sale or Considering Walking Away? Uncle Sam is still giving homeowners until Dec. 31st 2012, to go through the short sale or foreclosure without tax consequences-AS LONG AS THE LENDER RELEASES THE DEBT. But on January 1, 2013 the rules change: The amount the lender forgives, for either short sale or foreclosure, on primary residence will be taxable on federal income taxes. Homeowners declaring bankruptcy could escape paying income taxes on any cancellation of debt income if the debt is forgiven in the bankruptcy even if the debtor is solvent, said Nick Jovanovich, a board certified tax attorney in Fort Lauderdale, FL.. Homeowners should decided sooner than later this year to begin whichever process they chose to avoid the tax law changes coming in 2013. 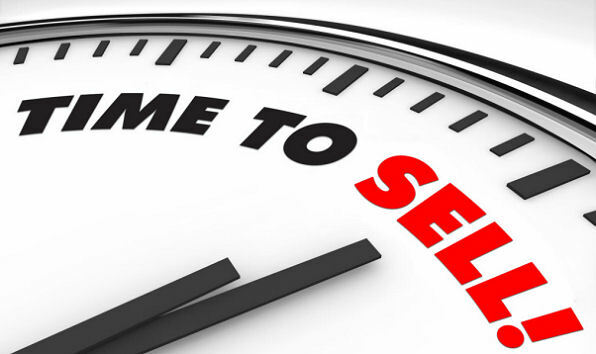 Short sales can takes months to years depending on lender, type of mortgage, market activity and many other variables. Contact a local REALTOR for more information on the services they can provide to assist in your decision. Some major lenders are offering quicker short sale programs as an alternative to foreclosure. Owners benefit from reduced documentation and smoother processing. In some cases, owners may be eligible for cash incentives from a couple thousand dollars to upwards of $30,000. What do the sales mean and how does it affect the value of my home? These are all great questions and the answers can vary depending on your location. Comparable sales are sold homes similar/comparable to yours. The trick is to find the closest match; including, but not limited too, location (same subdivision would be ideal or within certain radius of miles), home type (single family residential, waterfront, farm, acreage, etc. ), upgrades(pool, oversized garage/workshop), sale date (in todays current market we only look at the previous 3 months). Comparable sales can be found much easier with the accessibility of the Internet. But, you do need to know where to go. Marion County Property Appraisers has tons of great information @ http://www.pa.marion.fl.us/ including property details, assessed values, legal descriptions, links to court filed document, and so much more right at your fingertips. The coolest part is the spatial mapping data where you can check school & flood zones, utilities, elected officials, previous sales, Sheriff locations and on and on and on. OK WAIT! I got off track, the comparable sales for an area can be found with the above mentioned mapping, and then researching each sale and property carefully. After the data is collected I create a Comparable Market Analysis making adjustments for the differences in each comparable property. You will be left with an Adjusted Recommended Sales Price. Comparable Market Analysis are always “FREE of Charge” with me. Contact me today for more details.